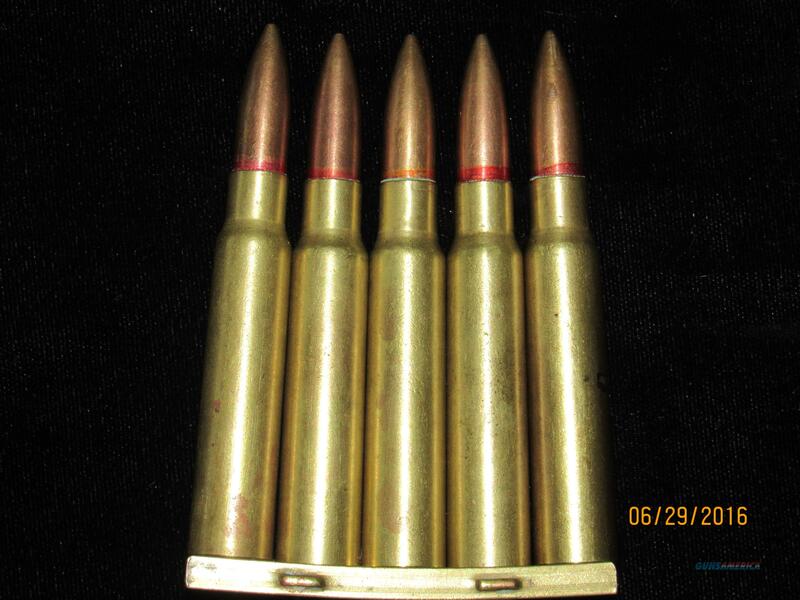 Description: This auction is for one ORIGINAL Japanese WWII Arisaka 7.7 x 58 MM ammo clip with 5 7.7 x 58 INERT Cartridges. The 7.7 clip is correct for the 7.7 MM Arisaka cartridge. Each clip is brass and has the upgrade drain hole in the center of the clip and the four stops on each side. The Berdan primer and the powder has been removed, making these cartridges totally inert. This 7.7 cartridge clip makes the perfect display. Shipping is $9.00. Returns are not accepted. I have sold 14 of these and just sold another one, only have 2 left.